Great location for this 1 owner, custom built home that has approx. 2300 sq. ft. with 3 bedrooms, 2 baths with spacious living and dining rooms plus an inviting wraparound porch. Interior safe room for added security along with security system. Home&apos;s energy saving features include a 2 yr old Trane CHA unit, gas heat, gas log fireplace, and gas hot water heater. Roof is only 2 years old with impact resistant shingles. Home has a water softener and is plumbed for a reverse osmosis drinking system. Established yard, landscaping, and mature trees plus a full lawn sprinkler system. Home has an attached 3 car garage along with a 30&apos; x 60&apos; clear span, metal frame, insulated shop with 3 overhead doors and a lean-to off the back. Shop has a window unit for cooling and gas for heating. There is an office space, 1/2 bath, built-in cabinet storage, and work bench space inside the Shop. 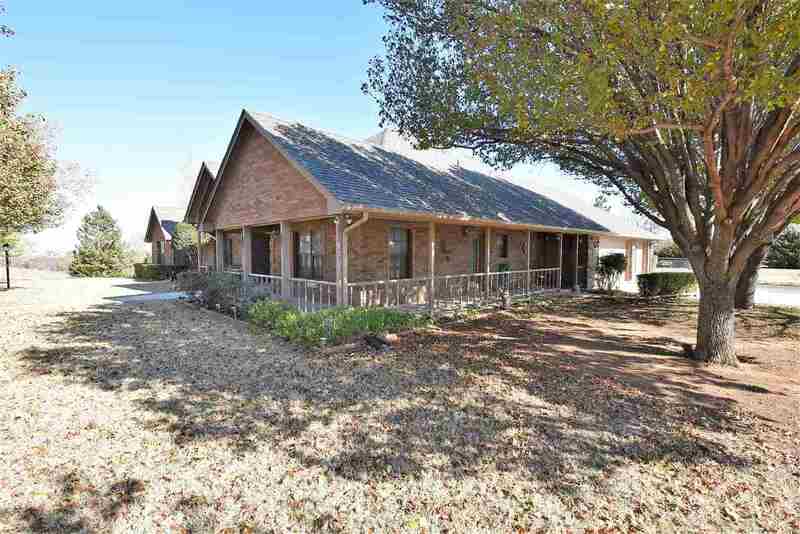 This home has lots of potential and is located in the Elgin School District with just a short commute to Lawton-Fort-Sill. Dining Room Size: 18&apos;8" X 10&apos;9"
Kitchen Size: 16&apos;5" X 10&apos;1"
Living Room Size: 20&apos;6" X 19&apos;0"
Master Bedroom Size: 17&apos;9" X 15&apos;4"